When Morten Jelsa checked his mailbox last Thursday afternoon, he got a big surprise. 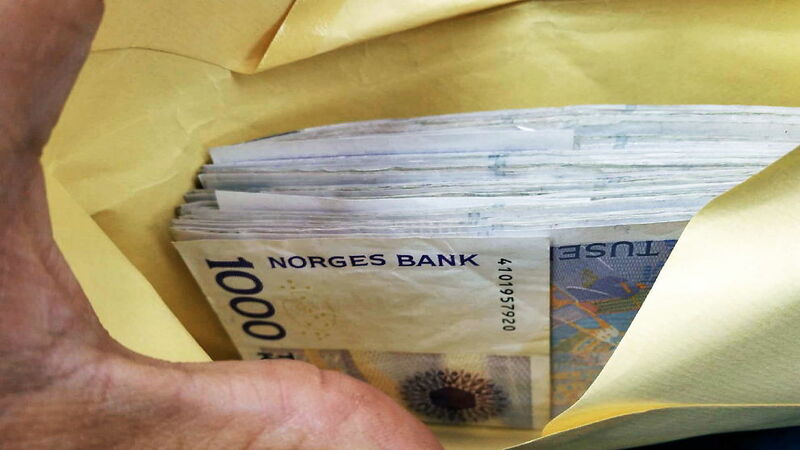 In an envelope he found 500.000 Norwegian Kroner – or roughly 84,000 dollars. – I came home from work and went to check the mail as usual and there was an envelope with five smaller envelopes inside. To my big surprise there were 100.000 in each, Jelsa tells newspaper VG. He does not know who gave the money, but he has earlier received some signals that an older woman wanted to support the local sports club Varhaug where Jelsa is chairman. However, he had not expected to get 500.000 Kroner in his mailbox. – I’m in shock and very, very happy, he says. After recovering from the shock he realized that he could not keep 500.000 Kroner in cash at his home, and headed for the bank. – Luckily, it was on a Thursday and the bank has extended opening hours, Jelsa says, adding that he would like if the anonymous donor would reveal herself. – I think she deserved her time in the spotlight after being so generous. According to Jelsa, it is not hard to find something to spend the money on. The sports club has 1,300 members and a relatively poor economy.